Lots of people groan when they hear non-fiction, especially kids. The first thing that often comes to mind it BORING! But I’m here to tell you that you’re just not reading the right books. Here are some of my favorite children’s non-fiction reads that will knock your socks off. Anyone who has ever spent time with a dog knows that dogs love sniffing! They sniff out hidden food, dirty socks, and the visitor who comes to the door. But some dogs work with police officers, soldiers and even scientists to put their “sniffers” to work. Sniffer dogs make use of the amazing biology behind their noses to protect people from bombs, catch criminals smuggling drugs, or help researchers locate a hard to find snail in a forest. A dog’s nose is so sensitive that if a human could see as well as a dog could smell, we would be able to see the small letters on an eye chart from four (four!) miles away. Is it any wonder then that dogs can be trained to find missing people in piles of rubble or a certain flower blooming amongst hundreds or thousands of other smells? In Sniffer Dogs you will meet many dogs and their handlers and learn all about their jobs. Some of these dogs are raised from birth to detect blood sugar levels in their owners. Others are rescued from animal shelters and their boisterous personalities help make them excellent sniffer dogs. 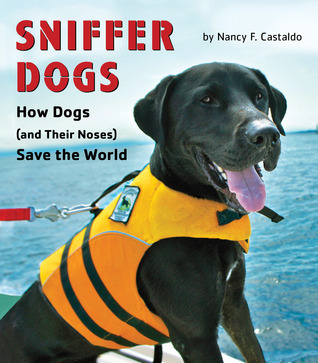 Featuring a balance between science and social science, Sniffer Dogs will appeal to dog lovers and science lovers alike. My boys LOVED this book so much. It’s loaded with pictures, vignettes and so much interesting information. All I can say is that next time I see Nancy she’s in trouble because my kids are REALLY pushing for a puppy and we are considering. LOL! If you already have a dog, you’ll learn a TON about what makes your dog an amazing sniffer. And I’m always a sucker for a book that has inspirational heroes in it. 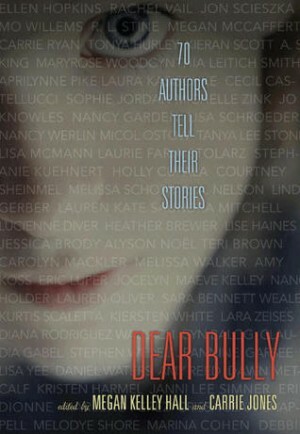 This is an all around great read for kids and adults. My copy is being passed around the family as we speak. I’ve had the pleasure of listening to Steve speak more than once and I loved hearing his transformation from “boring” text book writer to award winning author. He has learned the art of capturing the truly interesting tidbits of our history and is able to weave them together in a story like fashion that begs you to turn the page. 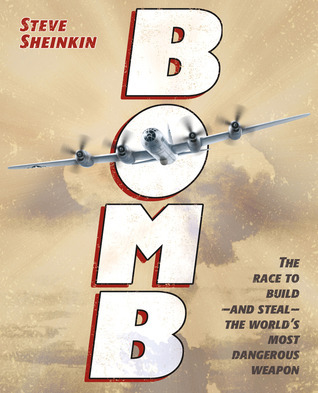 Bomb was a captivating read and after finishing it, my boys have gone on to read more about Pearl Harbor and the Holocaust out of curiosity. We’ve also read some of Sheinken’s other books and they don’t disappoint either. 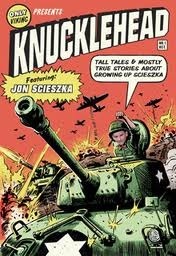 Funny man, Jon Scieszka has always been a favorite at in the Sabatini house and I’ve seen crowds roar with laughter when he gives a presentation, so it shouldn’t have come as a surprise that I had tears running down my face reading the chapter about the Scieszka boys on vacation in the backseat of the family station wagon. I swear it was the best laugh I had in 2014. My kids still talk about it and after we got done reading it together, I kept finding boys in bed pouring over the stories again and again. In history class, you’ve studied people who lived long ago. 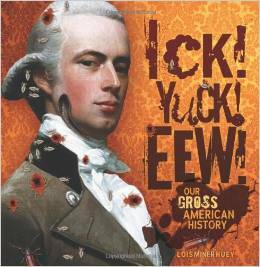 But do you know just how gross daily life was in the United States around the time of the American Revolution? • People rarely bathed. • They didn’t wash most of their clothes regularly. • Their teeth were rotting. • Bedbugs feasted on people as they slept. • Lice crawled through their hair (and their wigs) day and night. Ready to step out for a breath of fresh air? Well, look out, because the streets were filled with poop. Don’t believe it? Hop in a time machine and travel back to June, 1770, in the pages of this book! If I haven’t convinced you to buy non-fiction with these fabulous suggestions, remember that non-fiction is becoming a very big component of the common core curriculum. And while lots of the things about core curriculum give me hives–I LOVE anything that gets kids to read diverse material. Reading non-fiction with your kids is strengthening an important intellectual muscle that will serve them well in school and in the future. Go out and buy and read these amazing books!!!!! Are there any great non-fiction children’s books that I need to put on my TBR list? Please share!